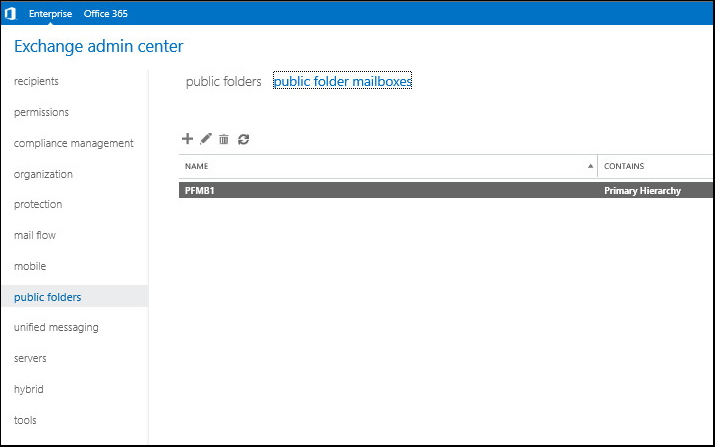 At the top of the page, select public folder mailboxes. 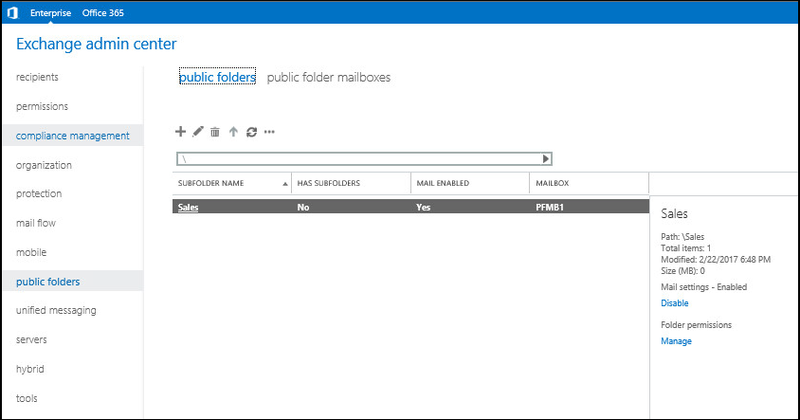 Give the public folder mailbox a name, select an organizational unit, and select the mailbox database. Select save. At the top of the page, select public folders. Give the public folder a name. For example, if you want to have public email address sales@example.com, you would enter sales in name. Select save. On the right-side of the page, select Enable.